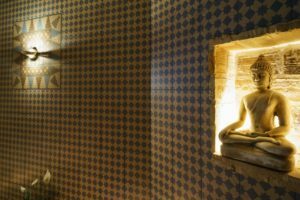 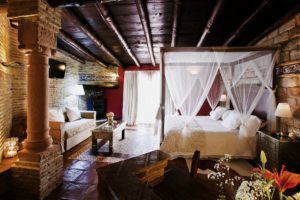 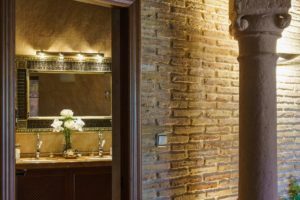 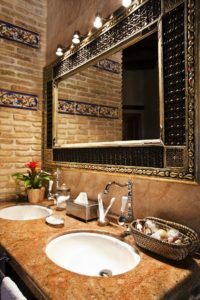 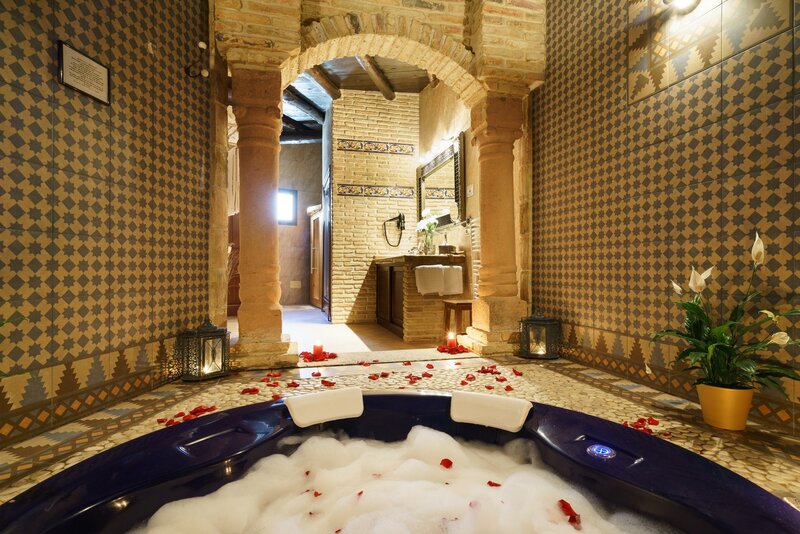 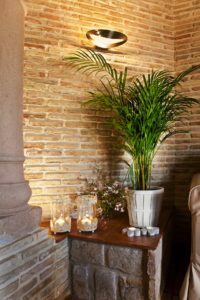 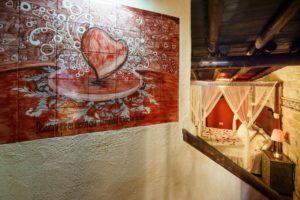 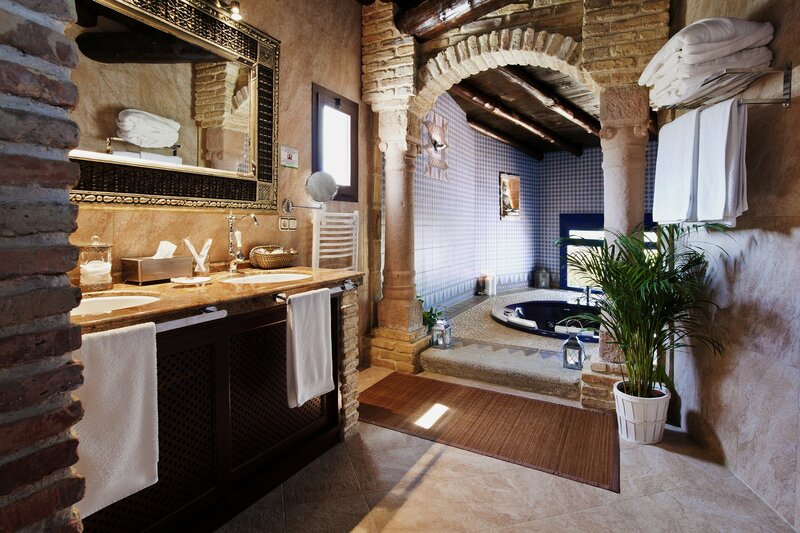 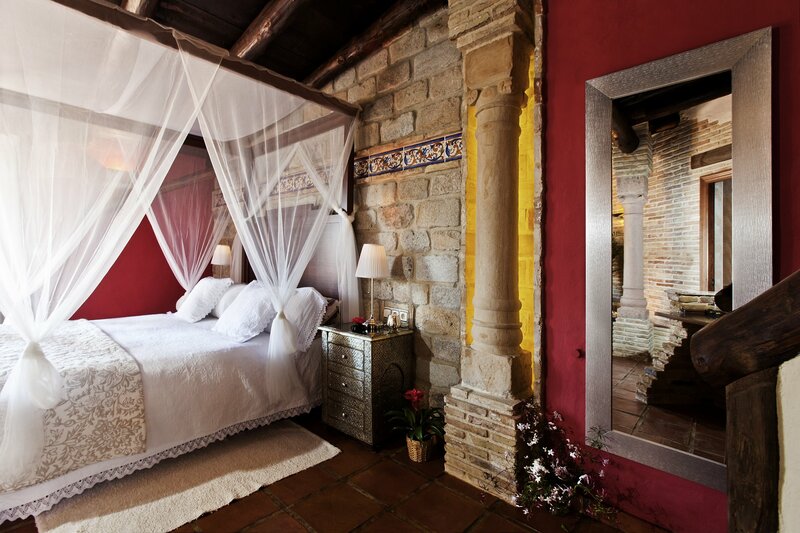 Our JAZMÍN SPA is UNIQUE IN SPAIN: a spectacular room that has an EXCLUSIVE SPA WITHIN THE ROOM to enjoy it in TOTAL PRIVACY, without the looks of strangers and with total guarantee of hygiene. 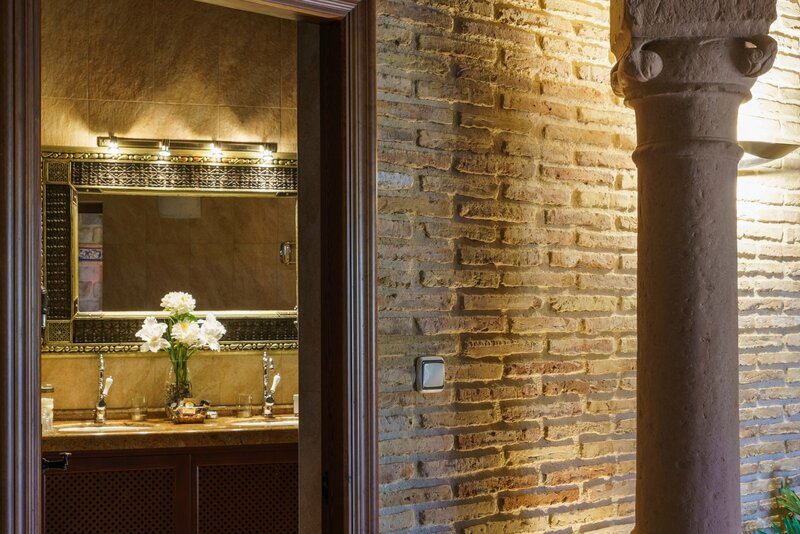 It also has a wood CHIMNEY. 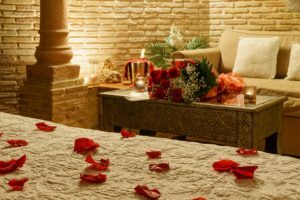 TO ENJOY ONLY YOU AND YOUR PARTNER? 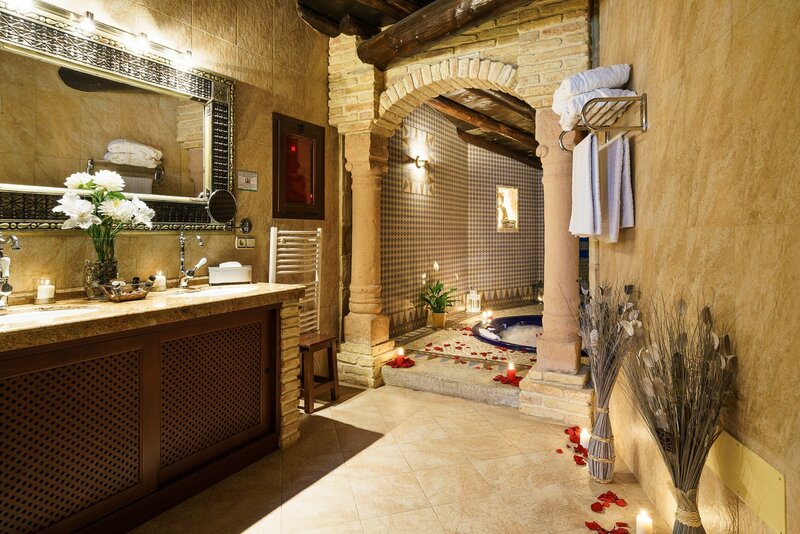 Our JAZMÍN SPA is equipped with a LARGE ROUND JACUZZI, SAUNA, TURKISH BATH, WHIRLPOOL SHOWER AND CHROMOTHERAPY, so you can enjoy a COMPLETE SPA IN YOUR OWN ROOM. The JAZMIN SPA Room has 50m2 to enjoy a personal and romantic space alone with your partner, and a PRIVATE SPA for the most intimate moments of your getaway. 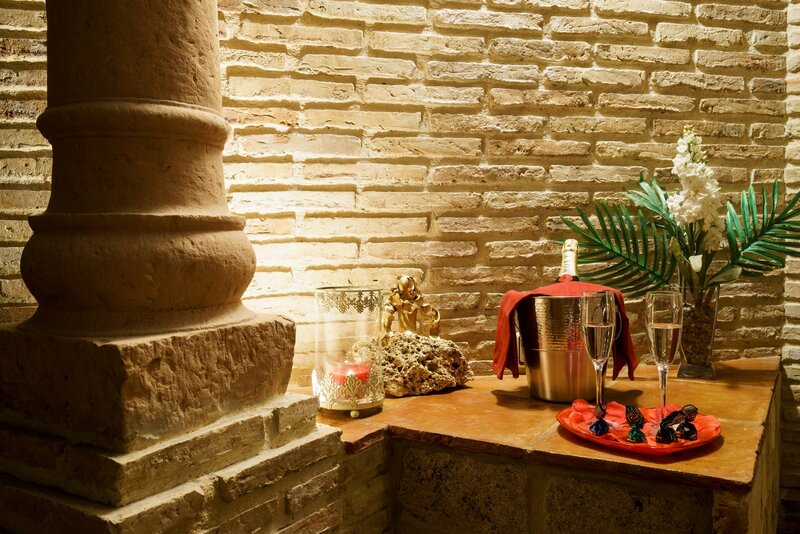 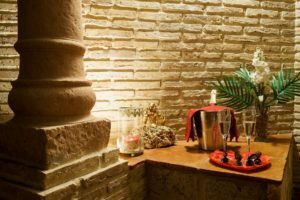 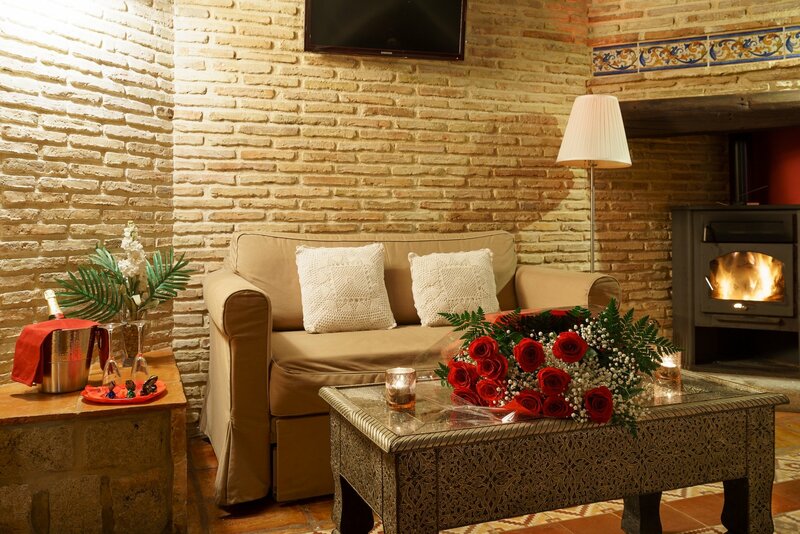 The JAZMIN SPA is PURE BEAUTY, a warm and cosy corner where you can relax in the winter with the warmth of the FIREPLACE or in summer on the terrace with direct access to the pool, totally conceived so that you can enjoy it in total privacy at any time of the night. 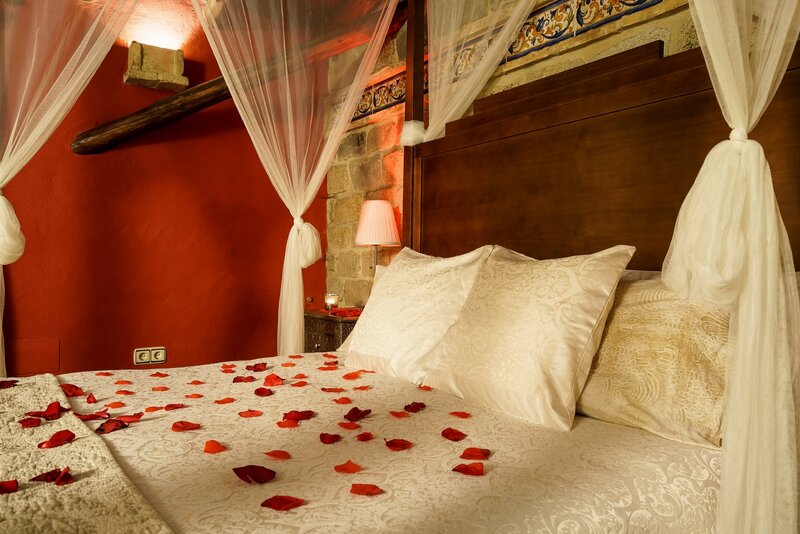 Its exclusive decoration, with a comfortable, elegant and warm design has been thought for you to enjoy all the comforts that we offer: noble wood furniture, surrounding cotton micro-woven sheets from Cairo, goose feather duvets… AWESOME BED with CANOPY and last generation viscoelastic mattress. Our JAZMIN SPA also has customizable lighting, with remote control colour changes, which will provide you with the romantic atmosphere you are looking for. 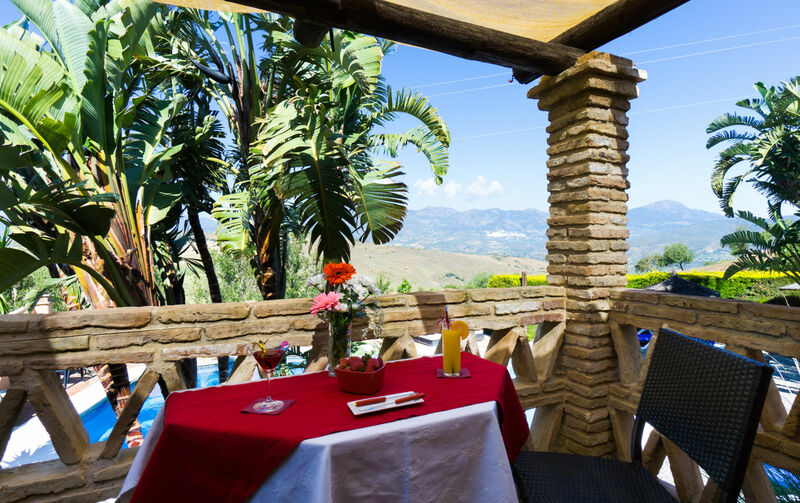 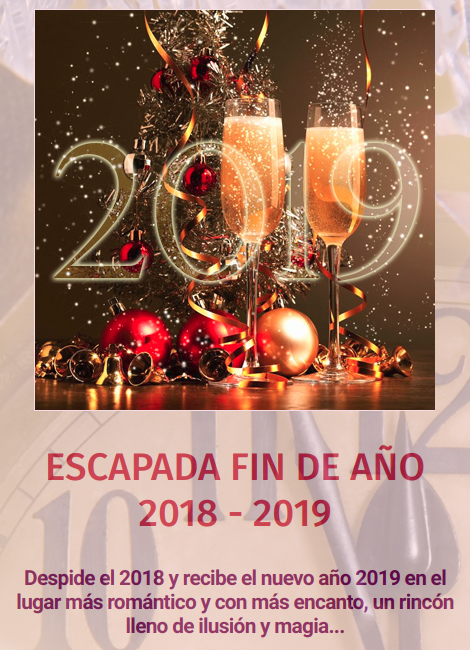 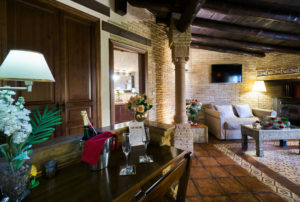 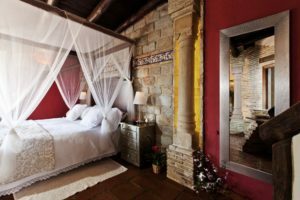 We have created a very exclusive room in which you can enjoy an EXCLUSIVE SPA circuit with your partner, with Sauna, Steam Bath, Rain Shower, Whirlpool Shower, Chromotherapy and a GREAT ROUND JACUZZI from where you can contemplate the beautiful sunsets of the Sierra de las Nieves. 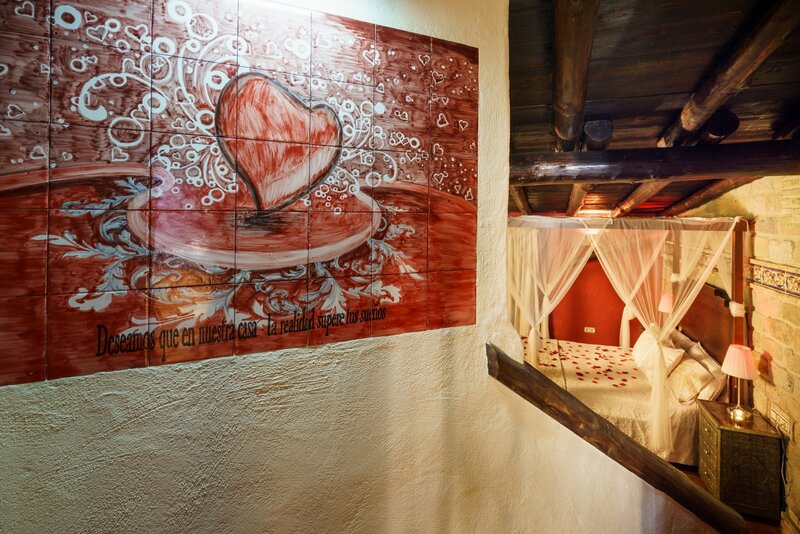 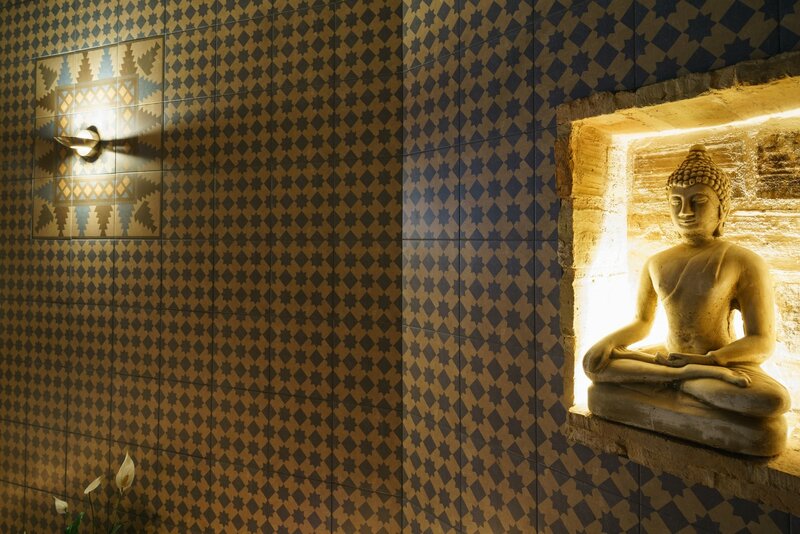 Reserve our JAZMÍN SPA room NOW!